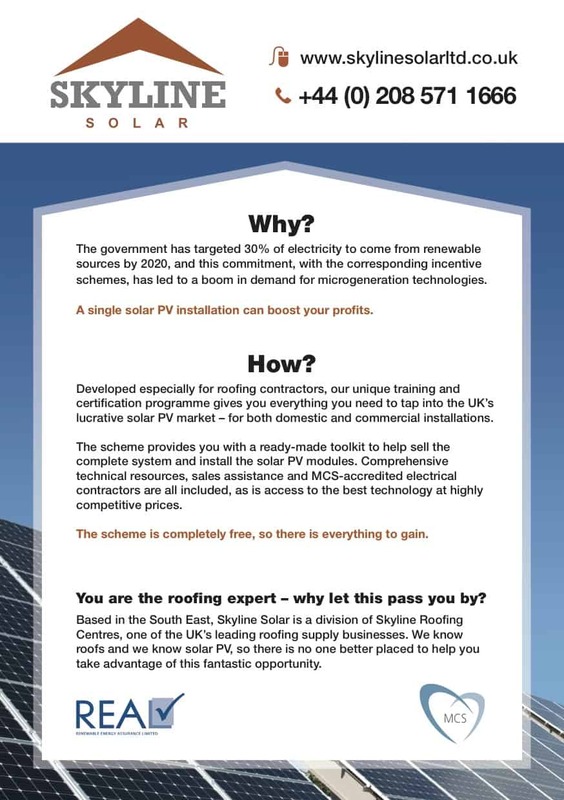 Skyline Roofing Centres invested in solar photovoltaic (PV) capabilities and technologies following the introduction of government renewable energy incentives. 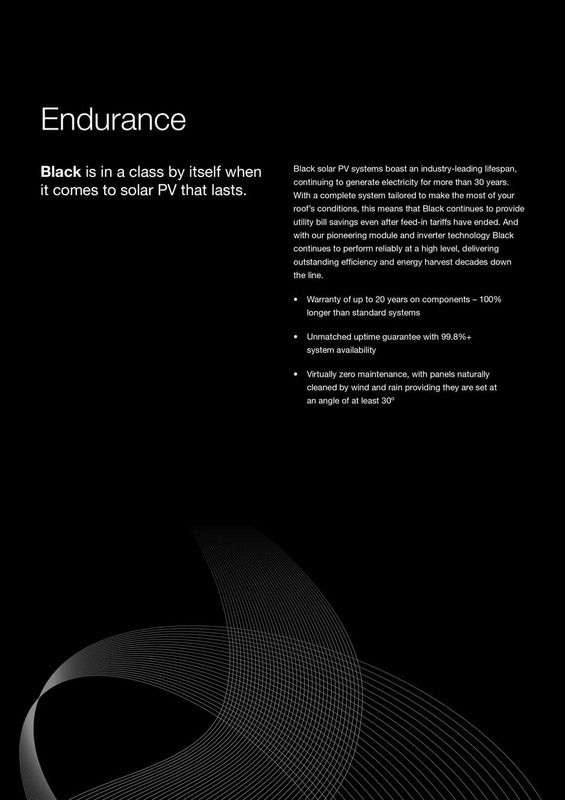 It launched a new division, Skyline Solar, and wanted to promote its key selling point – its expertise in roofs – to break into an extremely competitive and saturated market. 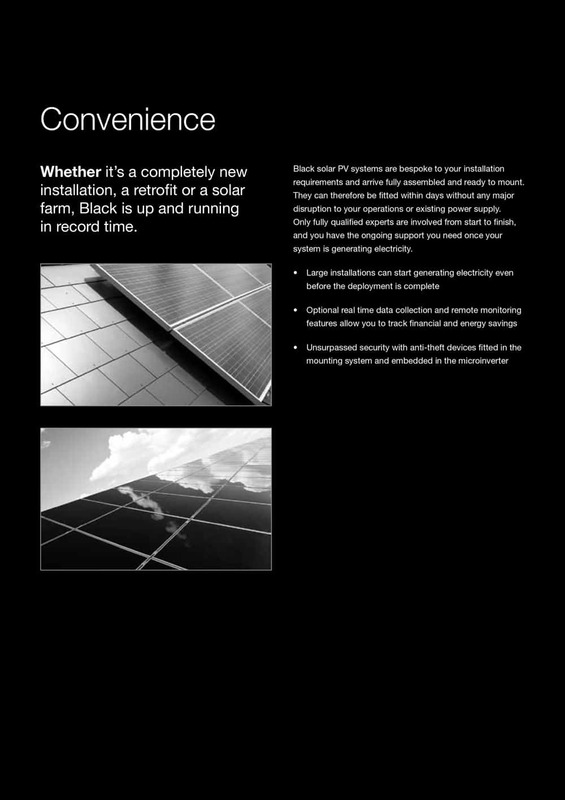 It wanted to launch Skyline Solar at a roofing industry event to recruit partners and then start targeting domestic and commercial building owners. 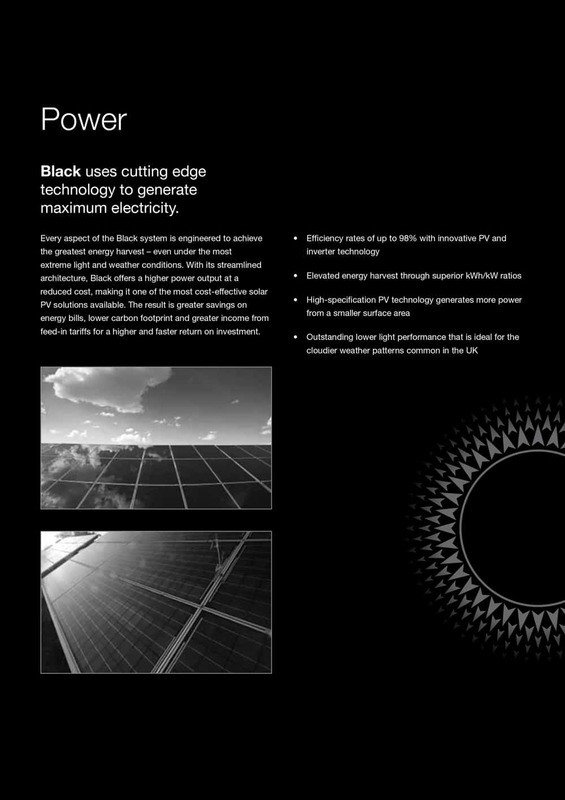 We began by writing key messages, to ensure all communications were consistent. 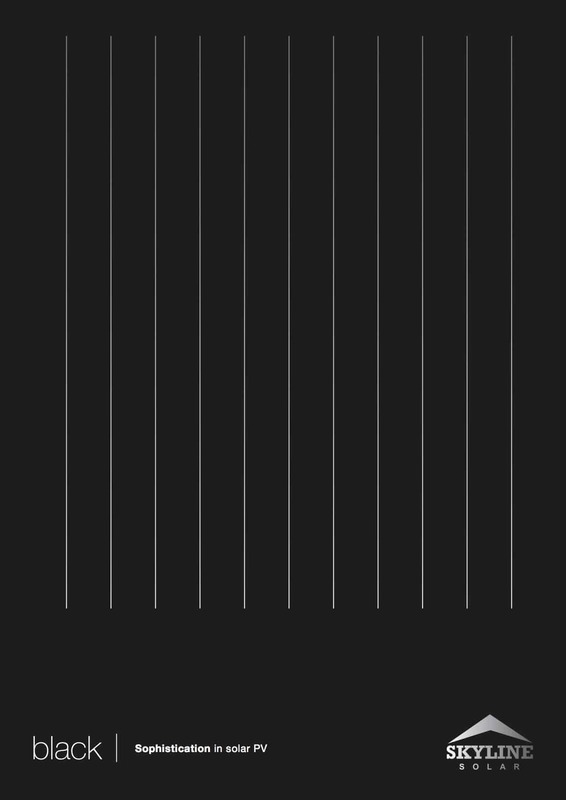 These key messages formed the foundation for a dedicated website. We had only a couple of weeks from the start of the project until the event, so we focused on leaflet for Skyline to distribute. 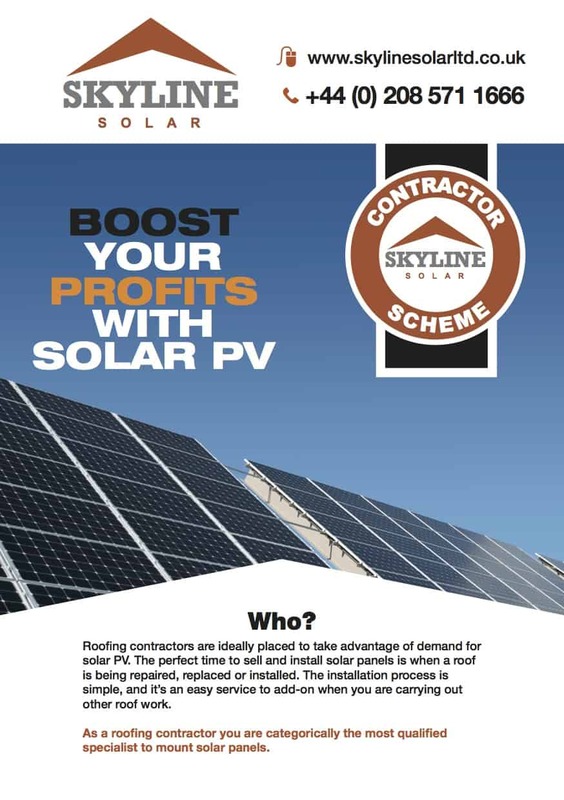 The aim was to recruit contractors for Skyline's partner scheme, and it therefore focused on the lucrative - and time-sensitive - opportunity solar PV offered. 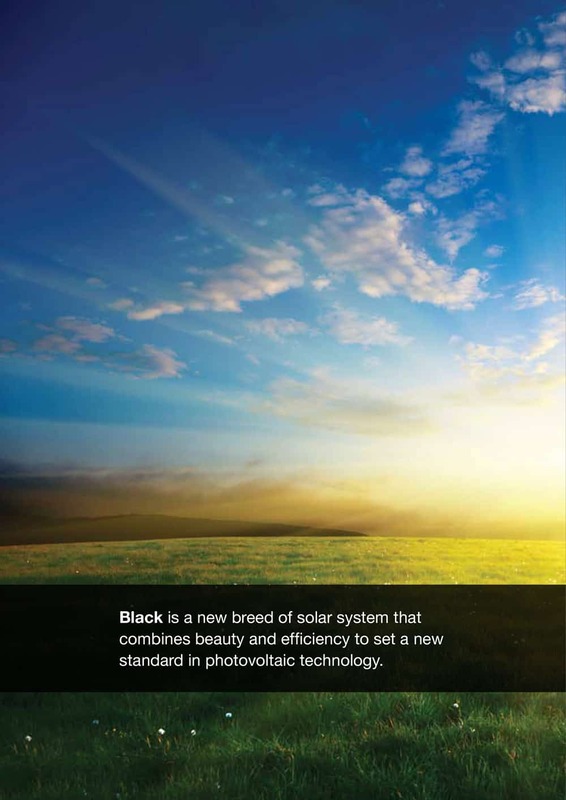 After the event, we wrote a series of brochures and advertisements targeted at commercial and domestic audiences. 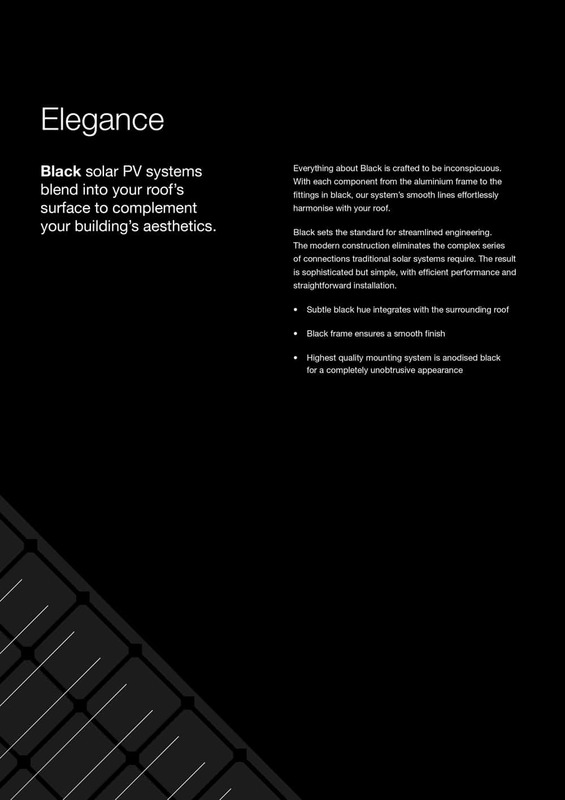 I also did a product brochure for Skyline's flagship range, Skyline Black, which addressed a key barrier - the fact that people thought solar panels made their properties look ugly. 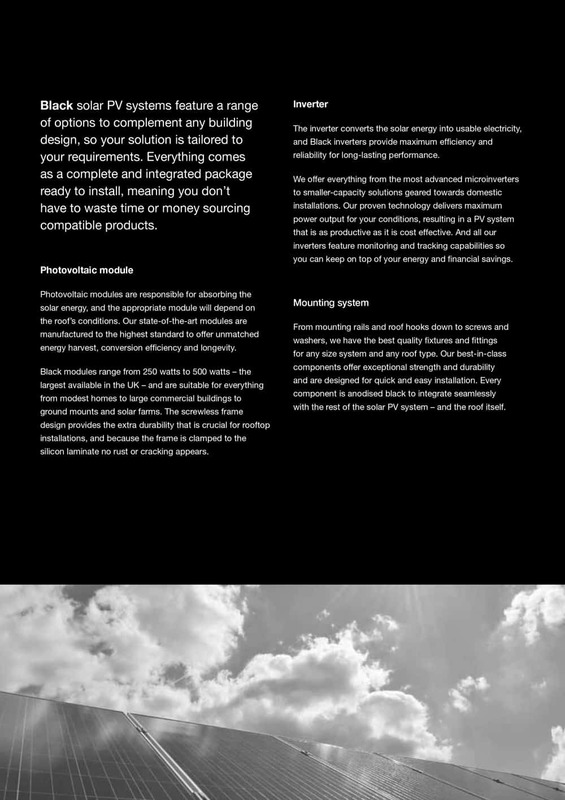 The key messages and marketing collateral provided a solid foundation for Skyline Solar to build its partner network and generate leads.